It is a simple line saying Ukraine NOW. The Cabinet of Ministers has approved Ukraine NOW UA, a brand designed together with experts to improve Ukraine's international image, according to RBC-Ukraine. "The team from the government, the Information Policy Ministry and experts have been working on the Ukraine NOW brand. The work has been completed. This will be Ukraine's brand in the world," Prime Minister Volodymyr Groysman said at a government meeting on 10 May. 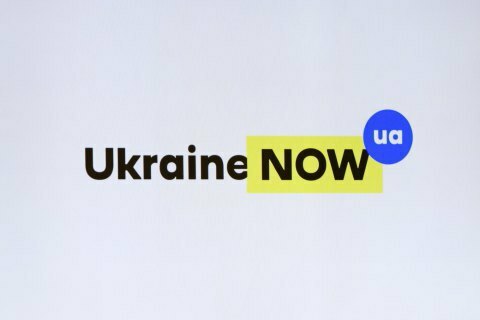 The new brand is the line saying "Ukraine NOW", in which the word "Ukraine" is used without colour filling, the word "NOW" is yellow. At the end it has a symbol in the blue circle, which is expected to be associated with message notifications. A brand book based on this will b designed to become a "single voice" of Ukraine all over the world. The logo design makes it easy to use it for presentations and information packages as well as for stickers. Last year the Foreign Ministry said it would set up a special institution to improve the country's image abroad.